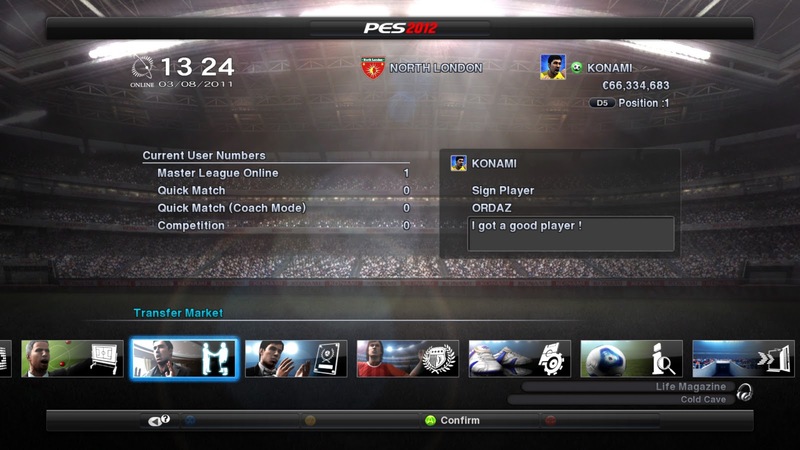 Konami have released the first details regarding the online mode in PES 2012. Here is the official press release, followed by a selection of in-game screenshots. 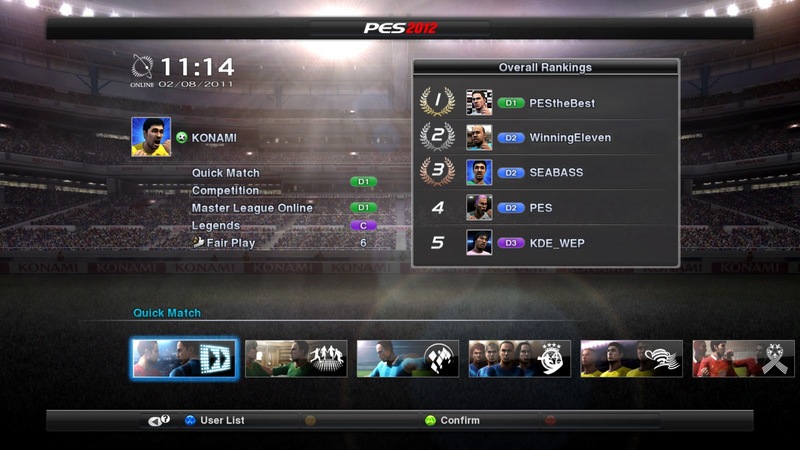 Konami Digital Entertainment GmbH has detailed the full range of online elements within its forthcoming PES 2012 title. With the new game set to hit stores on September 29th/October 14th, KONAMI has unleashed a huge raft of advances to the game’s many online modes and content. 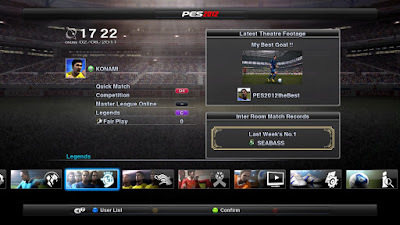 These have all been devised following extensive user feedback during the game’s development, and expand on the number of ways PES 2012 can be enjoyed. The game’s Master League Online retains the competitive basis as users steer their club to glory against other like-mined users, but the popular option has been tailored to offer a more realistic experience. Team styles can now be altered to benefit the user’s favoured playing style, with options to choose from balanced play, physical, speed, technique, set-pieces and teamwork. 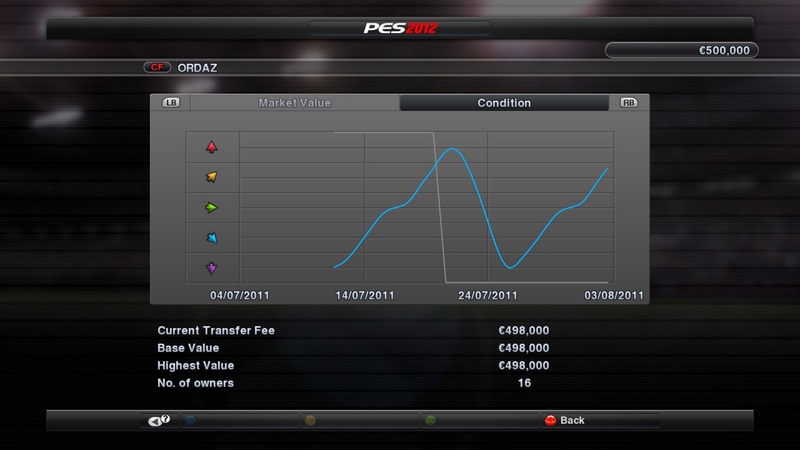 The use of contract periods for players has also been introduced and players may have to be sold if their wage and improved contract demands cannot be met. Likewise, the fitness – even injuries – of players is more realistic, with more continuity between matches. 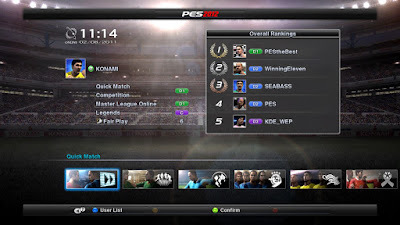 PES 2012 is a game designed to play with and against friends, and the game now offers matches for up to eight people via the PlayStation®3, Xbox 360 and Windows PC versions. To complement this, Community Mode has been improved to give users access to a wider range of opponents. Community groups of up to 100 users can be joined, and there are Bulletin Boards for members to pass on messages to each other. Similarly, inter-community matches have been incorporated to add rivalry between the groups. 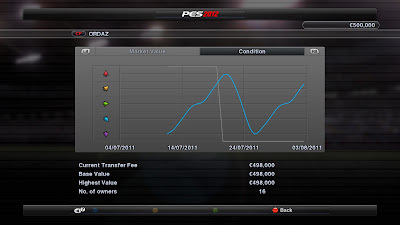 The general match-making elements of online play in PES 2012 have also been overhauled. Players are now more likely to be pitched against a rival whose manner resembles their own. 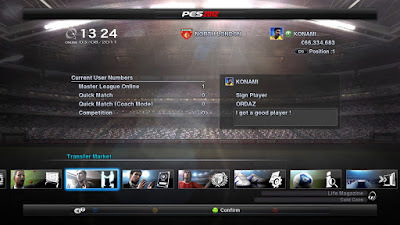 Those disconnecting to thwart a defeat will also be blocked from competitions and players with poor reputations will be pitted against one another and the whole PES 2012 online system has been enhanced to offer a smoother experience. Facebook functionality has also been added in the form of myPES, a special tool that allows users to invite friends into bespoke leagues and that will see match results being trackable via the myPES application. 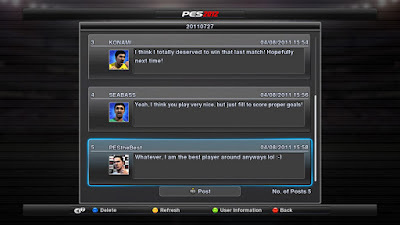 myPES is available as a free Facebook application when PES 2012 launches, and will enable users to share match results among friends via their Facebook walls. This service will then be extended in October, to allow people to invite friends into their own competitions, log their results and automatically update the league tables after online or offline matches among human players and unlock a range of special awards. 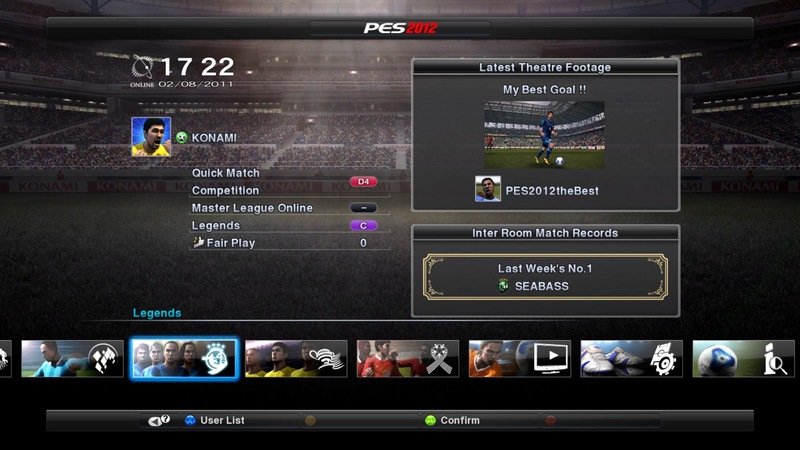 “Online is a key element to PES 2012 and we have worked hard to deliver options that enhance both the competitive edge of the game, and that bolster the solo modes in Master League Online,” commented Jon Murphy, European PES Team Leader for Konami Digital Entertainment GmbH. “Those that have previously exploited online loop holes will be punished, while the stunning Active AI will bring a real edge to online games – with the results logged into leagues of your friends and peers. 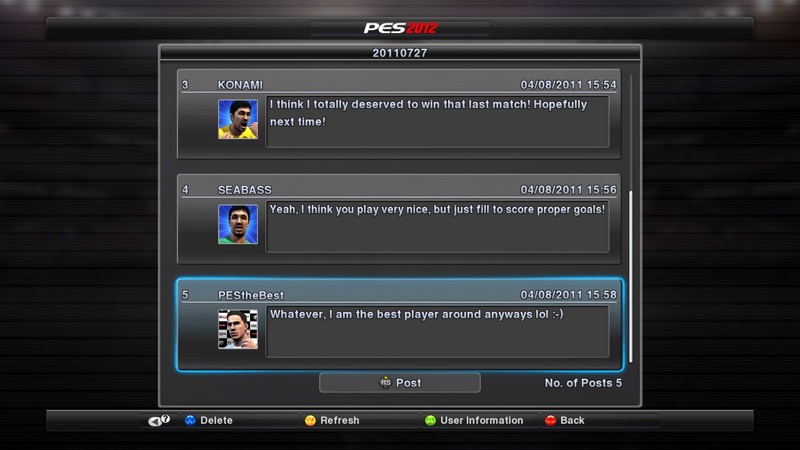 PES 2012 is all about skill, playing a team’s strengths and flowing football – who wouldn’t want to share that with their mates!